The Road to the 2018 Kentucky Derby pushes on this weekend with the Grade 2, $900,000 Rebel Stakes at Oaklawn Park. 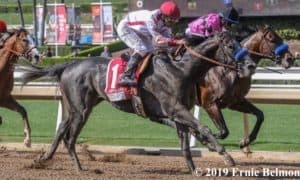 Last week, the entire racing world got a big shot in the arm with a classic battle in the Grade 2 San Felipe Stakes at Santa Anita, and this week’s Rebel should offer more of the same. 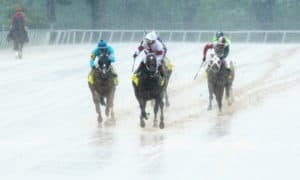 Trainers from coast to coast are shipping in to make up a star-studded field in a race that will award 85 points to the top four finishers (50-20-10-5) toward starting eligibility for the Kentucky Derby. When you think of horses shipping into Oaklawn Park, the first name that comes to mind is Bob Baffert. 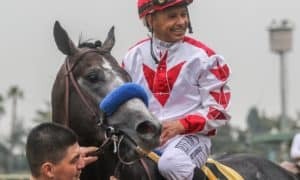 The California-based trainer uses Oaklawn as his personal playground and has already won a Kentucky Derby prep race at this track (the $150,000 Smarty Jones Stakes). For the Rebel, he sends the Breeders’ Cup Juvenile runner-up Solomini, who will be making his 3-year-old debut. Owned by Zayat Stables, Solomini breaks from post three with Flavien Prat returning aboard. While Baffert is the king of Oaklawn, you can’t forget about trainer Todd Pletcher, who shipped to Oaklawn twice last year to capture both the Southwest and the Rebel Stakes. This year, he sends the talented yet inexperienced Magnum Moon , a horse that has a resume similar to last year’s winner, Malagacy. Magnum Moon dominated rivals in his debut race at Gulstream Park, then shipped to Tampa Bay Downs to dominate allowance foes. Luis Saez retains the mount and will break from post 4. While the shippers in this race are getting a lot of attention, so will local horses Sporting Chance and Combatant. D. Wayne Lukas, Hall of Fame trainer of Grade 1 Hopeful winner Sporting Chance, has been tightening the screws on his star horses. He could be ready for a peak performance, as Saturday will be his second off of the layoff. 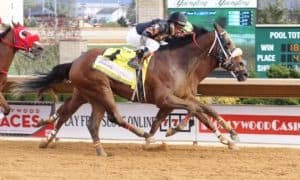 Combatant also has a Hall of Fame trainer, Steve Asmussen, and is coming off of back-to-back second-place efforts in the Smarty Jones and the Grade 3 Southwest Stakes. Sporting Chance drew well in post 7, but Combatant has drawn towards the outside at post 10. The Rebel Stakes drew a field of 11 overall and will go off as the last and 10th race on the card. Local post time for the race will be 6:09 CT. The field from the rail out: Title Ready, Curlin’s Honor, Solomini, Magnum Moon, Higher Power, Pryor, Sporting Chance, High North, Zing Zang, Combatant, and Bode’s Maker. #3 Solomini – There’s very little doubt in my mind that this is the horse to beat, based off of his races as a 2-year-old. The big question now will be his ability to transfer that solid form into success as a 3-year-old. Most of the horses that he faced at age 2 have come back to run well so far, but until he proves it himself, you just never know. Solomini has never run a bad race, having hit the wire either first or second in all four career starts while facing the best horses in the crop. 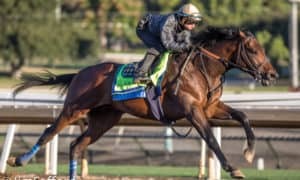 McKinzie and Bolt d’Oro are all the rage right now, and deservingly so, but it’s worth noting that Solomini has finished ahead of both horses in past races. He’s been working out like he’s ready for this debut, and of course, he has Baffert on his side. All signs point for him to be ready to ship to Arkansas and win. #4 Magnum Moon – We’re about to find out if this flashy son of Malibu Moon is ready to dive into the deep end of the pool. So far, he has been as visually impressive as you can get in two career races. 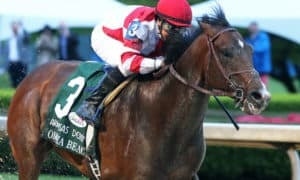 He dominated maiden special weight foes on debut at Gulfstream Park by 4 1/2 lengths, then shipped to Tampa Bay Downs and defeated allowance company by 2 lengths while never being asked. 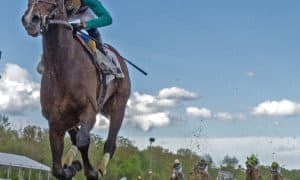 In that second race, his connections clearly intended to teach him how to rate behind horses while taking dirt in his face, and he passed that test with flying colors. Even though his speed figure was lower for that race, you can’t underestimate the education he received or the ease in which he won. At this point, he looks to be a major “Pletcher Progression” type that’s ready to put up a massive performance. #7 Sporting Chance – We should see improvement from him here after a solid 2017 debut in the Southwest, where he finished third. He did get a little tired towards the end of the race, but he had a right to do so, as it was his first race off of a long layoff, and also his first race going two turns. 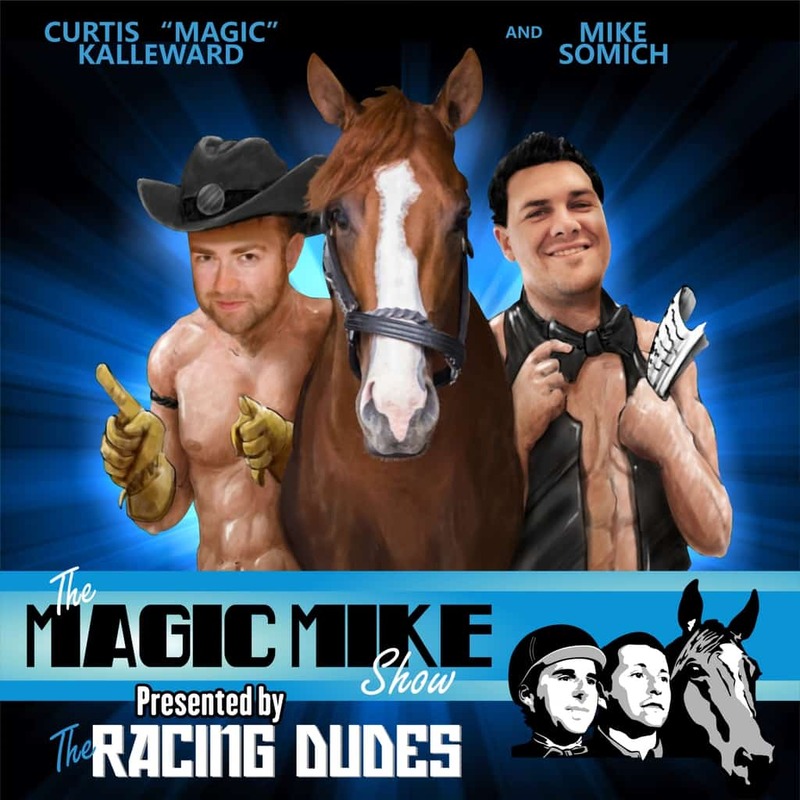 The horse has been cranked up in the mornings lately and could not be working out any better coming into this race. We’ll find out just how talented he is, as the big guns are showing up. Expect him to be on the lead and be ahead when turning for home. #10 Combatant – This could be the Lookin At Lee of 2018. Last year, Lookin At Lee hit the board in a lot of big races, and Combatant is on that same path right now. The problem with both horses is they never actually threaten to win, but you have to admire each one’s consistency. If there’s any horse that you want to key in the second or third spots, then this would be the one. I’m not sure he is quite as talented as the “Big 3” in this race, but he’s an honest horse that you can count on to hit the board. #8 High North – He made his 3-year-old debut in the Grade 2 Risen Star and ran well enough to make me think that he could make an impact underneath, with a little bit of improvement. 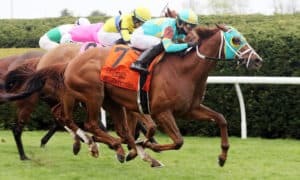 He’s faced graded stakes company twice, both times running evenly to finish fourth and fifth behind some talented horses. Unfortunately, he faces more talented horses here, but could sit a nice trip. If the pace melts down, then he will have a shot at running up late for third. 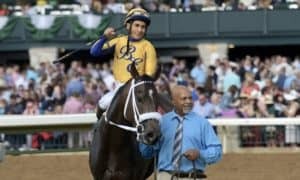 #2 Curlin’s Honor – This dangerous-looking prospect will be asked to develop rapidly here, but he’s a horse to watch at what should be a big price. 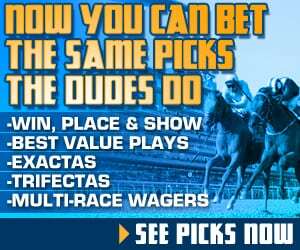 He impressively broke his maiden on debut at Keeneland last October, but he had some minor injury issues that kept him away from the races until February 25, when he returned to beat allowance foes at Fair Grounds. 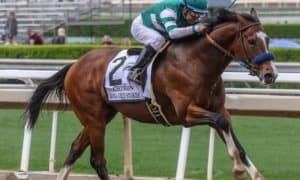 He’ll stretch out for the first time, which is something that should actually make him show improvement, as his breeding suggests that he’ll be a two-turn horse. The jump up in class to this tough Grade 2 test is not going to be easy, but he’s shown enough talent to get behind him with some small win tickets. 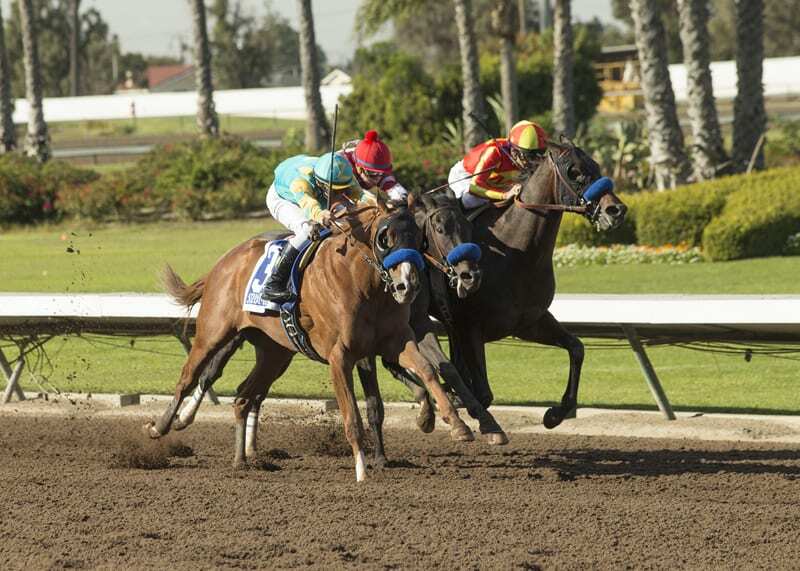 #1 Title Ready – He won an allowance here in his last start against a field of tough 3-year-olds. He now must step up in class to the major level, but Jose Ortiz is coming in to ride. I nearly put him in the “Party Crashers” category, but I just couldn’t make myself do it. He’s a fringe contender for the minor awards, but this spot might just be a little too tough. #9 Zing Zang – This horse really needs more distance in a big way and won’t get it here. At a mile and 1/8 or longer, he’s probably going to shine, but he’s unlikely to play much of a factor unless the pace is extremely fast up front. #5 Higher Power – He won a first-level allowance race to kick off the meet over a next-out winner in New York Central. The plan was to run in the Southwest off of that effort, but a minor illness caused him to miss some training time. This will be a difficult move up in class, and his allowance win didn’t come back all that fast. I’m waiting to see what he does against this sort of competition before backing him. #6 Pryor – He broke his maiden in wire-to-wire fashion last time out over a muddy surface, but he must step up in class in a major way now. His previous start was the only time that he’s been on the lead in his career, so if he can work out that kind of trip again, then he might outrun his odds. 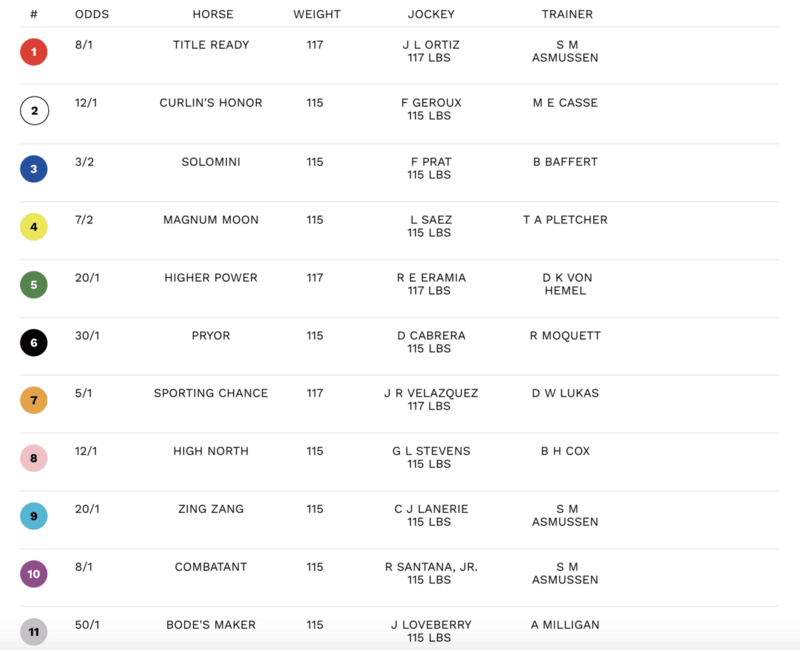 #11 Bode’s Maker – He’ll be the longest shot on the board after failing badly in four races this year at Oaklawn Park. Not only has he struggled, but it has been mostly against allowance foes. This race is simply too tough for him.